A 73-year-old man whose nephew says won a $50,000 lotto prize six months ago was found stabbed to death in his own living room Monday night. His fiancee made the grisly discovery, authorities say. Lori Bordonaro reports. 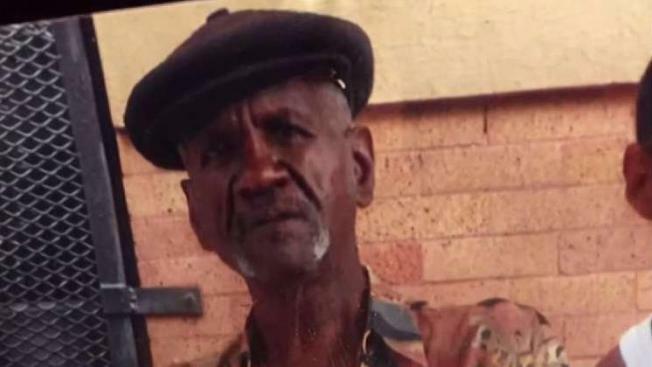 Police say they're looking for the nephew of an elderly Bronx man found stabbed to death in his living room, six months after the victim won a $50,000 lotto prize. The NYPD is asking for the public's help locating 45-year-old Idris Abdul-Muhaymin in the killing of 73-year-old Owen Dillard on June 11. Police confirmed early Friday that Abdul-Muhaymin is the nephew of Dillard. Abdul-Muhaymin is described as being 6 feet tall and 180 pounds. Dillard was found face up, stabbed several times in the neck, at the apartment he shared with his fiancee in the Bronx's Mott Haven neighborhood. He was pronounced dead at the scene. Police are looking to speak with Idris Abdul-Muhaymin in the June 11 stabbing death of Owen Dillard. Police said there were no signs of someone forcing their way into the apartment. The building requires visitors to be buzzed in. According to Dillard's nephew, a different family member than the one police are looking for, the victim won the huge lotto prize on a Win 4 Life ticket and kept the cash in his apartment. The nephew also said his uncle was also terminally ill and only had a few months to live. No arrests have been made. Residents in the area said Dillard was loved by many. "It's sad," one neighbor said. "I feel sorry for the man. God bless his soul. He was a great man."